Season and cook through the chicken breasts in a pan. When cool enough to handle, shred the chicken into pieces. Place four tortillas on the counter and cover evenly with the shredded chicken, red peppers, onions, spinach and cheese. Place ½ tablespoon oil in the hot pan and cook the quesadilla on each side for 2 minutes. 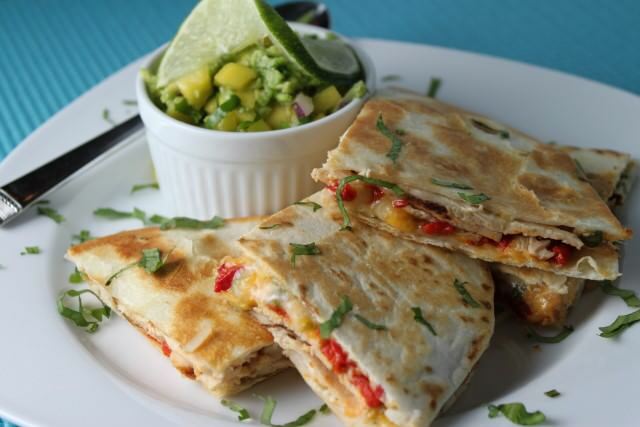 Repeat the process with the remaining quesadillas.